What is the right Cetane Number? Cetane number is sometimes thought of as a measure of fuel quality but are many properties and aspects that make up the whole of fuel quality. Mike Wilson is a man of all trades at Wabash Valley Service Company. Giving back to the community is one of his favorite other duties as assigned roles. Much like we all experience an awkward stage of growth during our formative years, corn plants can also between growth stages V5-V7. Farmers work diligently each day to maximize their crop’s potential. That includes getting the most out of crop inputs like herbicides and fungicides. But how do you know if it’s working to its highest potential given all the varying conditions that can happen at application time? 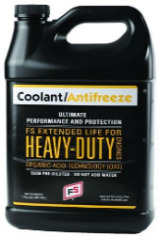 In heavy-duty diesel engine applications, antifreeze/coolants are formulated to prevent cavitation and liner pitting in wet sleeve liners. What chemicals do you use on your farm? What chemicals do you use on your farm? Which ones are flammable and which ones can cause health issues?